Sesame (Sesamum indicum) is believed to be one of the first plants domesticated by man: archeological findings go way back to at least some 4000 years ago! Initially cultivated in India, this wondrous plant has quickly spread around the world to be used in dozens of different ways. In terms of nutrition, sesame seeds come jam-packed with minerals (calcium, copper, phosphorus, potassium, magnesium, and iron), vitamins (B1, B6), dietary fiber, and healthy fat. However, the real value of sesame seeds isn’t in straightforward nutrition: it’s the special compounds present in them, like phytosterols and lignans. Although not as popular as many ”super seeds” out there like flaxseed or chia, sesame seeds can actually be the source of some seriously amazing health benefits. Let’s take a good look at the most important of them. According to a study from 2005, sesame seeds are the richest source of phytosterols (400-413 mg per 100 g) among all seeds commonly eaten in the US. Why’s that important? Several studies have confirmed that a moderate to high daily intake of phytosterols significantly improves cholesterol levels in a dose-dependent fashion! It’s recommended to aim for at least 459 mg/day of phytosterols as this is the level at which cholesterol absorption in the guts is significantly reduced. The main lignan (a class of polyphenols) in sesame seeds is sesamin, and it has some amazing properties. For instance, a Japanese study from 2009 reported that daily supplementation of 60 mg sesamin was able to decrease systolic blood pressure by 3.5 mm Hg and diastolic blood pressure by 1.9 mm Hg on average. The study also noted that a reduction of 2-3 mm Hg in blood pressure is enough to significantly reduce cardiovascular disease rate, so you can confidently eat sesame seeds daily for a strong heart! A daily dose of 40 mg of sesame seeds over the course of 2 months was able to significantly reduce inflammation in patients with knee osteoarthritis. Most likely, this effect is based on the outstanding antioxidative properties of sesame oil and its phytosterols. There is evidence from animal studies that sesamin and sesamolin, two lignans from sesame oil, are able to reduce brain damage from ischemia (poor blood and oxygen supply) by up to 50%. More studies are needed to make solid recommendations on this matter, but the potential of these compounds is indisputable. Besides being powerful antioxidants themselves, the lignans present in sesame seeds are actually able to further increase the antioxidant activity of vitamin E. Double action against free radicals and oxidative stress! 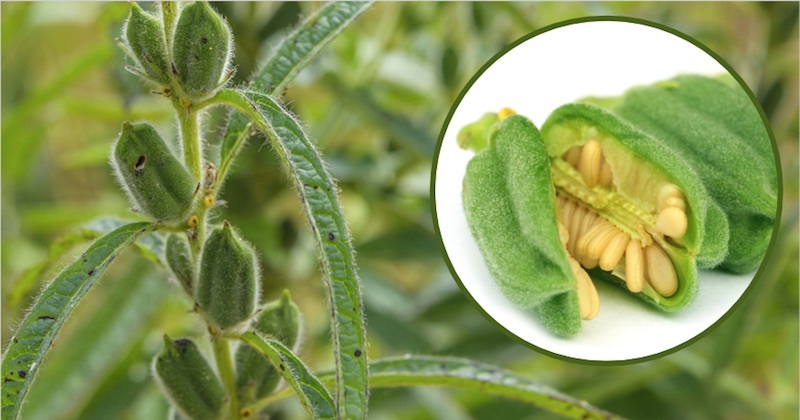 Sesamol, another lignan in sesame seeds, has been confirmed to have strong anti-thrombotic properties, meaning it can prevent the formation of blood clots and arterial plaque. Sesamolin and sesamin showed similar potential but somewhat milder. Using sesame oil every day in place of your regular cooking oil significantly improves fasting glucose levels, according to a 2008 study. Subjects received 30 g/day sesame oil for 6 weeks. Patients were instructed to use sesame oil in place of other cooking oils for 42 days. Adding this oil in your dishes can easily help you to achieve your goals to lower glucose levels. A study from 2017 reported that taking just 40g (two tablespoons) of sesame seeds per day was able to effectively reduce muscle damage in athletes and improve their aerobic capacity, meaning the body’s ability to capture and use oxygen to fuel physical activity. Although most people won’t be able to actually feel this effect, it’s a crucial one in professional sports, when a fraction of a single second makes the difference between victory and defeat. 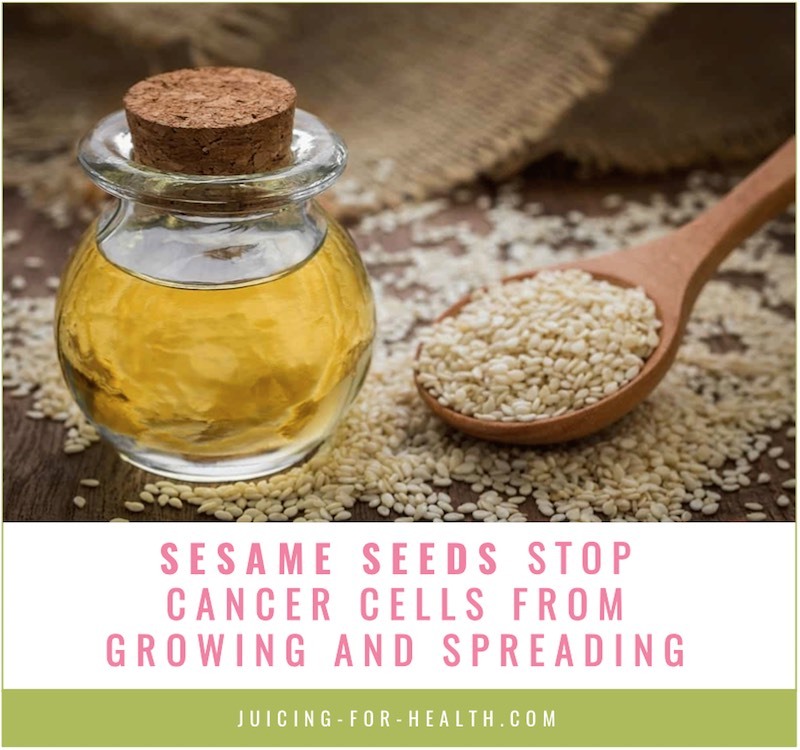 Sesamin is able to inhibit the growth of several common types of cancer including colon, breast, pancreas, lung, and leukemia, according to a 2011 study. Several other studies have mentioned that sesamin is also able to actually induce cell death in cancer cells, basically making them “kill themselves” (this is scientifically known as apoptosis—programmed cell death). Oligomenorrhea is the medical term for having abnormally infrequent menstruations (with more than 35 days between the periods). The conventional treatment for this condition includes hormonal therapy in most cases, and this is usually accompanied by a lot of side effects. In 2014, an Iranian study reported that taking sesame seeds daily for seven days was able to effectively restore regular periods in about 80% of women with no side effects. Taking just 35 g of sesame oil for 2 months is able to significantly improve the function of the blood vessel lining, which is extremely important for cardiovascular health. For instance, a healthy endothelium is able to produce nitric oxide (NO) in sufficient amounts. Nitric oxide is the body’s primary way to widen up the blood vessels—meaning lower blood pressure, better blood and oxygen supply, and lower risk of cardiovascular events. Considering all the health benefits that sesame seeds have to offer, they are seriously underrated and underused. Of course, eating some 100 g of actual sesame seeds daily may be tricky for some people, so consider the option of going for just a couple tablespoons of sesame oil—that will be enough! Important! For optimum results, use sesame oil fresh, or in very low to medium heat. Do not use in high heat cooking. No matter which approach you choose, remember that sesame seeds are worth so much more of your attention than being a pleasant bonus to your hamburger buns. Sprinkle them over salads and juices, bake some healthy cookies, add them to your morning cereals: the options are endless, and all of them will be extremely beneficial for your health!